"In recent years, homeowners have become more keenly aware of resale value as the housing market has struggled and rebounded. Does a home security system add value? The answer is often yes. Below are five ways it can do just that. The popularity of home security systems has steadily increased over the years and many people prefer to buy a home that already has a security system in place. This can be a real incentive for buyers. 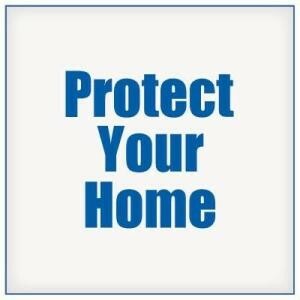 Buyers can generally obtain a discount on homeowners insurance, when there is a home security system, which can sway a buyer in your favor. Given the choice of two very similar houses — one with a security system (and possible related insurance discounts) and one without — many buyers will choose the house with the security system. Not only will they be able to enjoy the peace of mind that comes with having a home security system, they may also save substantially on their insurance premiums. Many of the latest home security systems come with integrated home features, such as automatic thermostat controls, lighting controls and even remote control of home appliances. Not only are these homes more secure, they are also more energy-efficient. When a buyer knows there will be savings on utility bills (in addition to homeowners insurance premium discounts), they are much more likely to make an offer. Today, you can install home security systems with add-ons that can detect flooding from appliances that malfunction, gas leaks, basement flooding, roof leaks and low temperatures. These are all situations in which acting quickly is key. By being alerted to hazards, homeowners can prevent very costly home repairs. Any homebuyer who has woken up to find the basement flooded from a burst pipe will appreciate such a system. 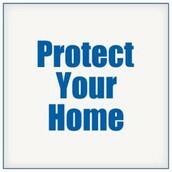 View Protect Your Home on about.me. About.me makes it easy for you to learn about Protect Your Home’s background and interests. View all of Protect Your Home’s Presentations.